2. Even more valuable tracks and sessions, based on your feedback. Tracks Focused on Job Responsibilities - Many professionals at DMOs use multiple Simpleview products as part of their job. Because of this, we&apos;ve created tracks that combine the Simpleview product suite to make sure users know the features of each tool to be productive in their daily responsibilities. Peer-to-Peer Conversations - While it&apos;s easy for us to get up on a stage and give you detailed information about the products we build, we also recognize that the best people to explain how they use the products are the users themselves, in jobs like yours. Therefore, the majority of Small Training sessions will have DMO professionals giving case studies and real-life examples of how they succeed in the workplace, often as a co-presentation or panel discussions with Simpleview&apos;s subject matter experts. 3. Just look at this venue! 4. 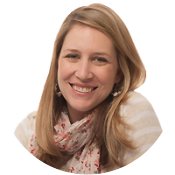 New Content Marketing Track: Simpleview&apos;s new Digital Marketing team will offer a full content marketing track at Summit this year. 5. Fresh Mobile Apps: Learn more about one of our newest offerings, VisitApps, your in-destination marketing app for staying connected with the modern, mobile traveler once they&apos;re in town and ready to fully experience your location. Plus, stay tuned for the new Simpleview Summit App, available in March. 6. More Networking Opportunities: More than 500 travel and tourism industry professionals attended Simpleview Summit last year. This year, at your request, we&apos;re offering even more networking options for newcomers. 7. Targeted Training: As always, there will be a plethora of small training sessions delivering big advantages. From "Responding to User Research on Your Site&apos;s Listings" to "Weaving Apps into your Digital Marketing Mix" to "Marketing your Destination&apos;s Major Arts & Cultural Events"... there&apos;s something for everyone on your team to learn at Summit and use toward greater success in 2017 and beyond. 8. Extended Roundtable Discussions: You wanted more time to talk about dedicated topics with experts and peers, and this year we&apos;re making it happen. Whether the topic is "Providing Your High-Res Images to the Media with the Asset Request Module" or "How to Use Listing Rank for Increased Exposure and Revenue Opportunities", there&apos;s more time to get into the details for solid takeaways. Scott Stratten, named one of the Top 5 Social Media Influencers in the world by Forbes.com, on how "Everything Has Changed and Nothing is Different" in this age of disruption. Jeff Corwin, environmental journalist and host of the Emmy Award-winning ABC wildlife adventure series "Ocean Mysteries with Jeff Corwin," whose episode from the Georgia Aquarium won a Daytime Emmy for Outstanding Travel Program. David Rendall, author, funny man, and no stranger to travel, as he has spoken to audiences on every inhabited continent. He&apos;ll discuss "The Freak Factor: Discovering Uniqueness by Flaunting Weakness." 10. Golf! ... On any one of three, nine-hole, Arnold-Palmer designed championship golf courses. And did we mention the sunset Tequila toasts? Pre-conference trainings are filling fast. 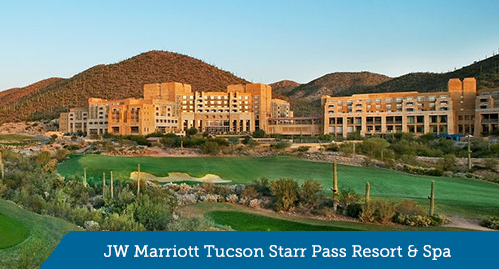 The JW Marriott Starr Pass room block is already full ... but we can guide you to other accommodations.